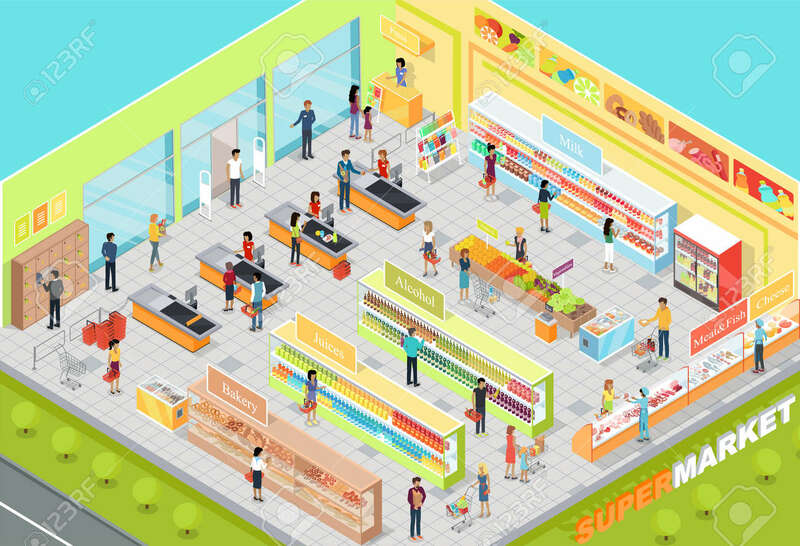 Supermarket Interior Vector. Isometric Projection. 3D Illustration Of Big Trading Room With Product Sections Shelves, Goods, Customers, Personnel, Sellers, Cashes. For Store Ad, App, Game Interface Royalty Free Kliparty, Vektory A Ilustrace. Image 64621393.